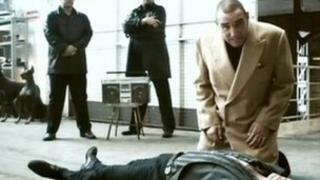 An advert showing actor Vinnie Jones carrying out CPR has been cleared by a watchdog of complaints he performed the resuscitation technique incorrectly. The British Heart Foundation (BHF) TV and internet campaign showed the former footballer using "hands-only" CPR. The Advertising Standards Authority (ASA) said 20 people complained the advert could lead to unsafe behaviour. But it said the advert had been prepared with the help of the UK's Resuscitation Council. And it was in line with European Resuscitation Council guidelines, the watchdog added. In the advertising campaign, Jones says: "There are times in life when being tough comes in handy. Say some geezer collapses in front of you. What do you do? We need a volunteer that ain't breathing." An apparently unconscious man is slid across the floor to him. Jones continues: "First off you call 999. Then no kissing. You only kiss your missus on the lips." He is then shown carrying out "hard and fast" chest compressions to the beat of the Bee Gees' song Stayin' Alive. The ASA said people complained the ad was harmful because they believed it showed incorrect CPR methods. The BHF said the campaign aimed to increase bystander intervention in instances of cardiac arrest. The heart charity said it knew of 15 cases of people applying what they had learned from the advert with a positive outcome. It added that fewer than 10% of people suffering a cardiac arrest out of a hospital survived - a survival rate which it described as "appalling". The BHF said that while chest compressions could occasionally injure a casualty, a broken rib or bruising was a small price to pay. The ASA said: "We noted the ad aimed to teach untrained individuals how they could help in situations where CPR was required, noting the on-screen text and voice-over at the end of the ad that stated: 'Hands-only CPR. It's not as hard as it looks'. "We considered that that made clear the ad was teaching hands-only CPR, and did not believe that trained individuals would consider the messages of the 40-second ad to override their own CPR training. "Because the ad showed correct techniques for hands-only CPR, we concluded the ad was not harmful and did not encourage unsafe behaviour." Stayin' alive - does music have a role in CPR?